So far I have seen or heard nothing which would convince me the individuals who took part in the GR press conference are nothing more than MI5 controlled stooges. There is no point beating about the bush regarding the matter is there? As far as a so-called “Graduated Response” is concerned it is not enough to focus the matter on one mere OO parade up the Crumlin Road. There are a vast number of grievances affecting the British Unionist community in N.Ireland which must be addressed and rectified. One of the main grievances is the issue of the Pope`s PSNI. The so-called “United Unionist Leadership” must withdraw ALL support from this obscene force and start demanding it`s complete removal and disbandment. One of the major facets about life in the “New GFA Ulster” which the PUL community must come to terms with, is the fact that the new Papal Guard is not OUR Police Force. The Pope`s PSNI must be replaced with a new Police force which is acceptable to the BRITISH citizens of N.Ireland, not some deadbeat bunch of reprobates put together by the Jesuits of Georgetown University. 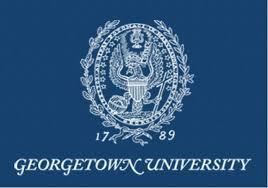 The crest of Georgetown is shown below. The phony “Peace-process” which became the precursor to the GFA is much more subtle, deceitful, deadly and evil than most “Unionists” realise. 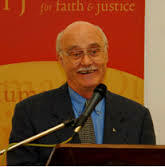 One prominent Jesuit which most people will not have heard of was cognizant with all aspects of the phony “Peace-process.” His name is Raymond Helmick and if you do the research you will find he was deeply meddling in N.Ireland affairs and had a hand in shaping events. You can see from the link I have provided, Helmick and his evil colleagues are not behind the door when it comes to letting people know they have been meddling in the political affairs of quite a few nations. Another Jesuit who was fully informed about the phony “Peace-process” and the GFA “negotiations” was a guy called Brian Lennon. As a matter of fact Lennon has openly stated that the Jesuits KNEW there was going to be a GFA, even though the local MSM whores and local politicians were portraying the situation as highly delicate and poised on a knife-edge. By the way Lennon was instrumental in instigating the opposition to parades along the Garvaghy Road. Check the link for yourself. The whole outline of the GFA was not created by local politicians at Stormont negotiations, it was already created and planned at the Jesuit Georgetown University in Washington. That is where this reprobate George Mitchell comes in! There you are, below you can see a picture of George Mitchell at Georgetown, he has been linked to the Jesuit Georgetown for years. So is the other reprobate Bill Clinton! 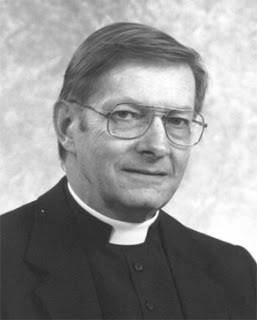 A key part of the Jesuit pre-planned GFA was the removal of the old RUC and the invention of a “NEW” police force which would have an ethos acceptable to the Jesuits of Georgetown and the Vatican itself. Hey Presto! They invented their very own Papal Guard and called it the PSNI. It`s proper name is THE POPE`S PSNI. To pull of a stunt like this you would need a very powerful political figure who is also a fanatical Vaticanite. Sure enough they found one! It was none other than Chris Patten, he loves the Pope that much he was the man chosen by the Vatican to organise the Antichrist`s visit to the UK. 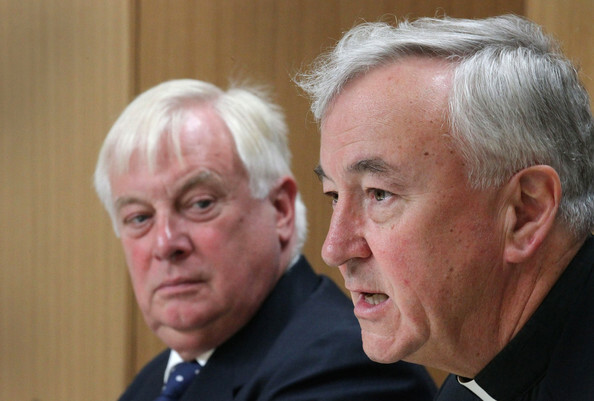 Below is a picture of Chris Patten and another servant of the Antichrist giving a press briefing about the Pope`s visit to the UK. Would you have ANY CONFIDENCE in a police force instigated by Chris Patten, the Antichrist`s servant? Either “Unionist leaders” were too stupid to know about all these people`s connections to the Vatican and it`s various agencies. OR they did and do know about all the Vatican intrigues relating to the GFA and the new Pope`s police force and deliberately concealed it all from the Unionist community? It has to be one or the other. Note how he is pontificating on “political matters” which are none of his business and not part of his remit. Note how he is also trying to act as a social engineer. Again, this is none of his business and it is not part of his remit. The duty of a REAL Chief Constable is putting down crime. All the “Chief Constables” of the local Papal Guard have ever done is protect “high-ranking terrorists”, enable the “high-ranking-terrorists” and their cronies to get large grants from every government agency going and of course they have all delighted in taking the most robust action against the “Unionist” community on every opportunity they get. The challenge facing the “PUL” Community is very clear. Get rid of the Pope`s PSNI before it plays an instrumental role in getting rid of you! I would not be expecting any help from the “United Unionist Leadership” in this matter, I have no doubt they will throw their full weight into backing the Pope`s PSNI at every opportunity they get! Rev 17:1+2 And there came one of the seven angels which had the seven vials, and talked with me, saying unto me, Come hither; I will shew unto thee the judgment of the great whore that sitteth upon many waters: 2 With whom the kings of the earth have committed fornication, and the inhabitants of the earth have been made drunk with the wine of her fornication.